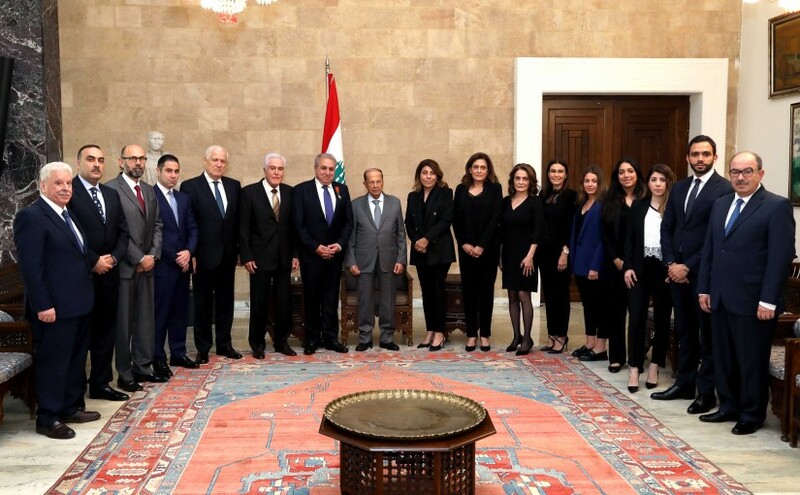 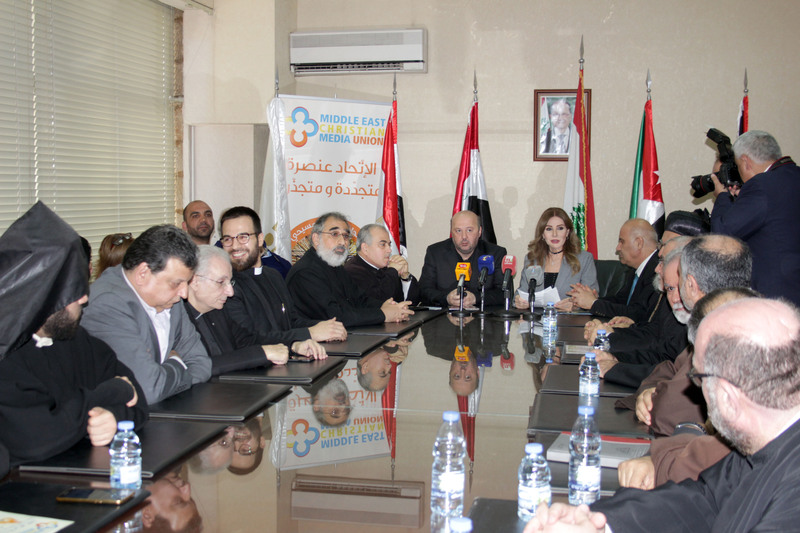 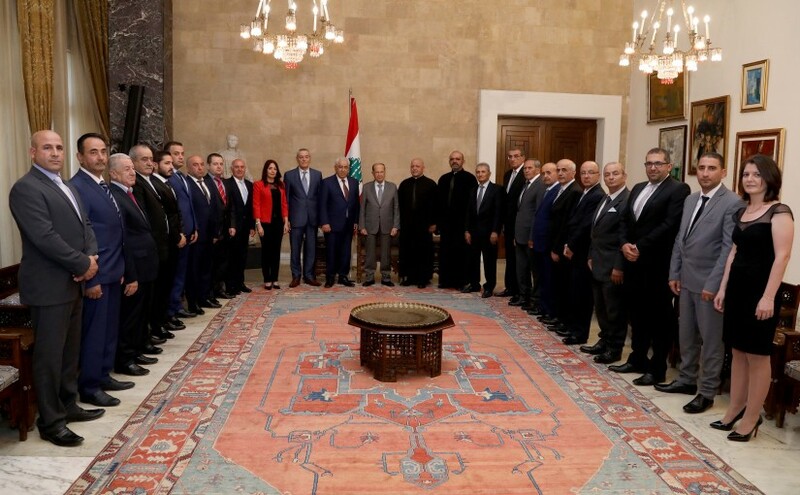 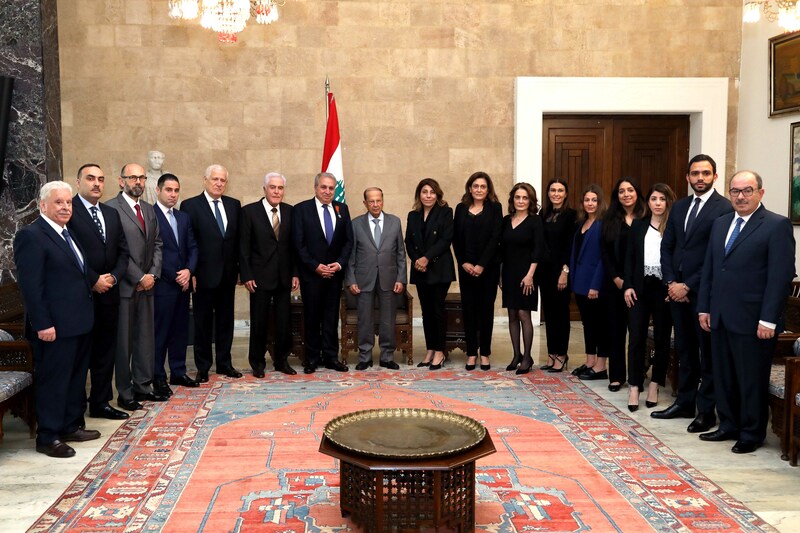 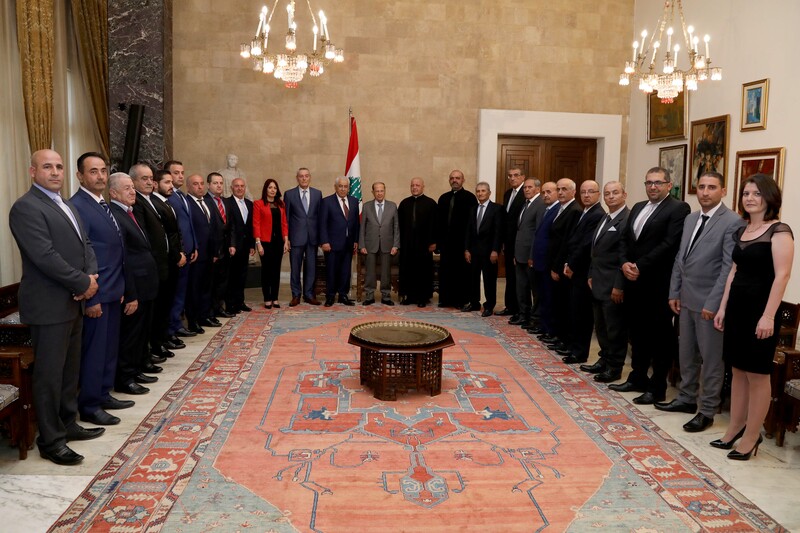 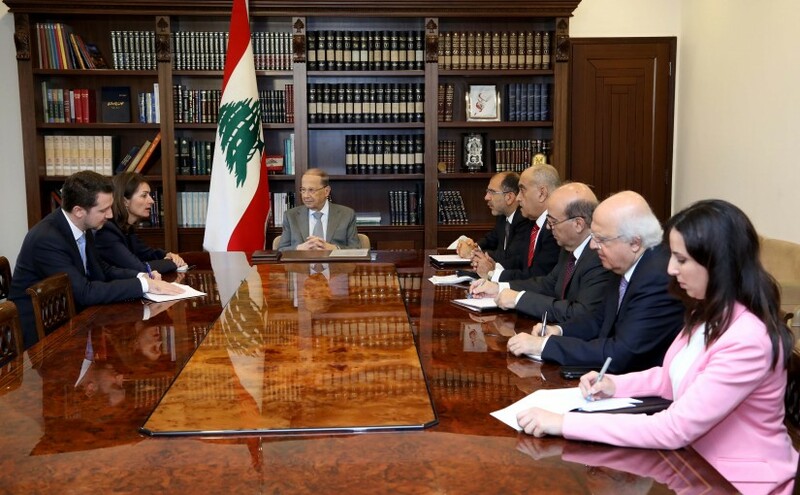 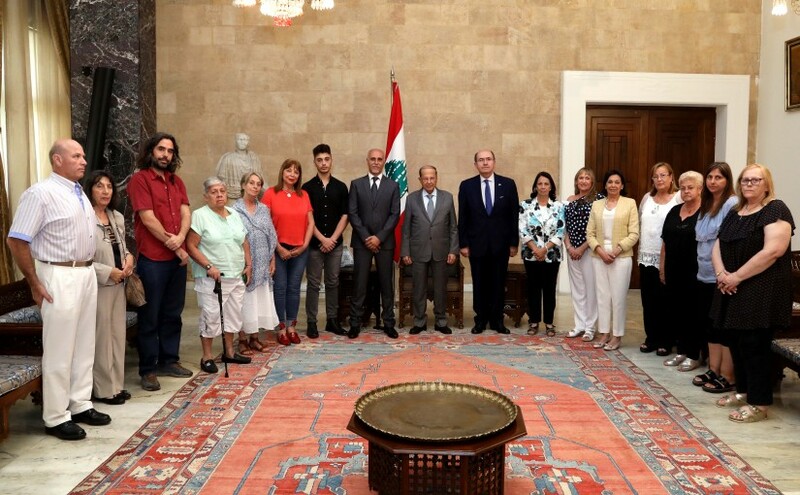 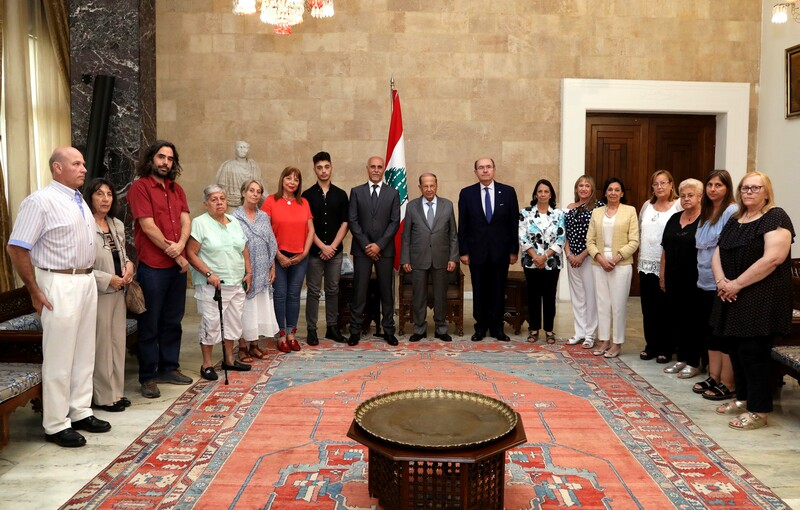 President Michel Aoun meets Municipality President Kleaa Mr Hanna Khoury with a delegation. President Michel Aoun meets MP Antoine Pano. 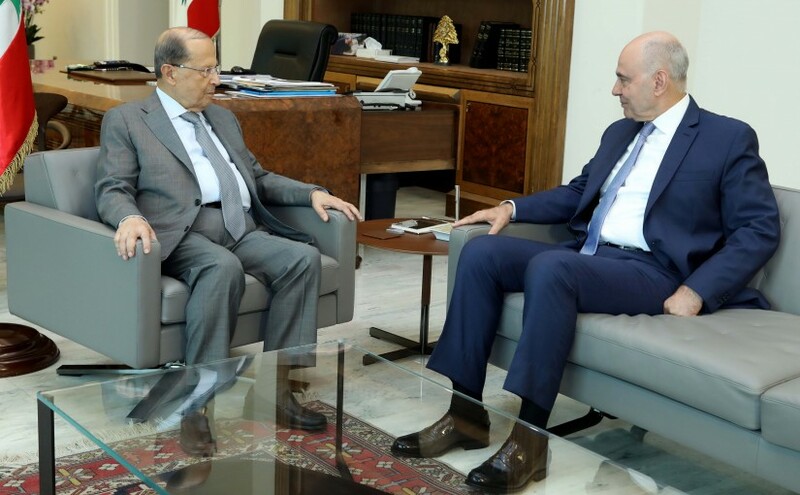 President Michel Aoun meets Engineer Bassam Mehye Al Din Barghouth. 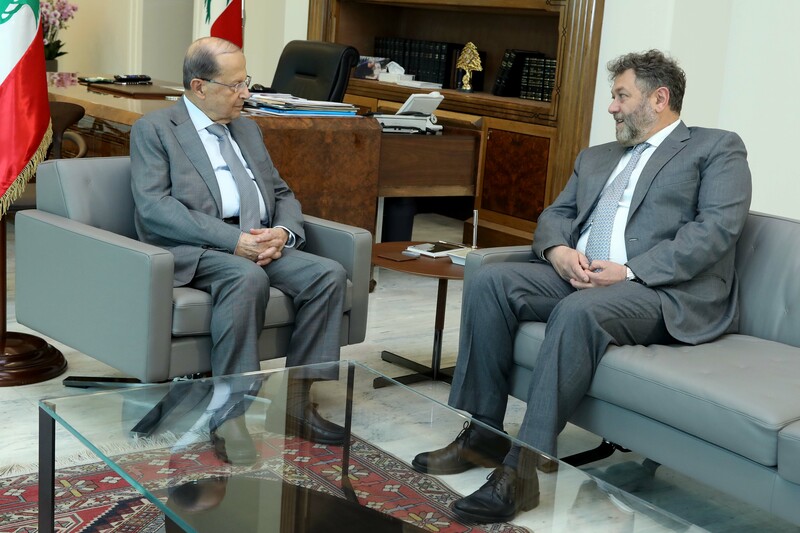 President Michel Aoun meets Mr.Nestor Hage and Ambassador Ricardo Segundo Larriera with a Delegation. 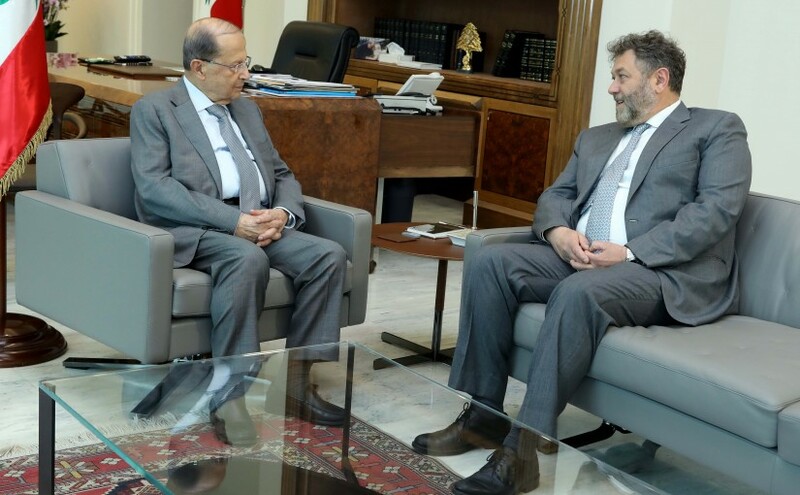 President Michel Aoun meets MP Neamat Efrem. 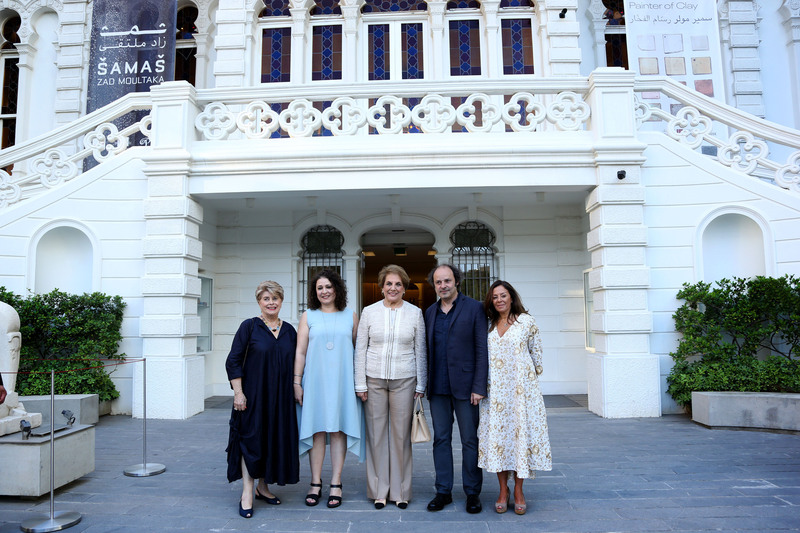 The First Lady Ms. Nadia El-Chami Aoun attends the exhibition for Samas soleil de zad Moultaka.